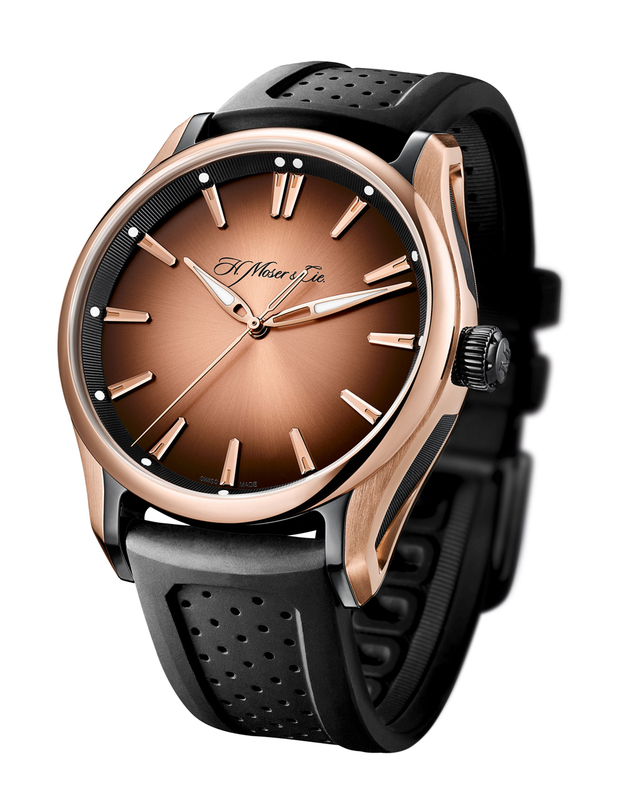 H. Moser & Cie introduced the first sports watch Pioneer, a few days ago. 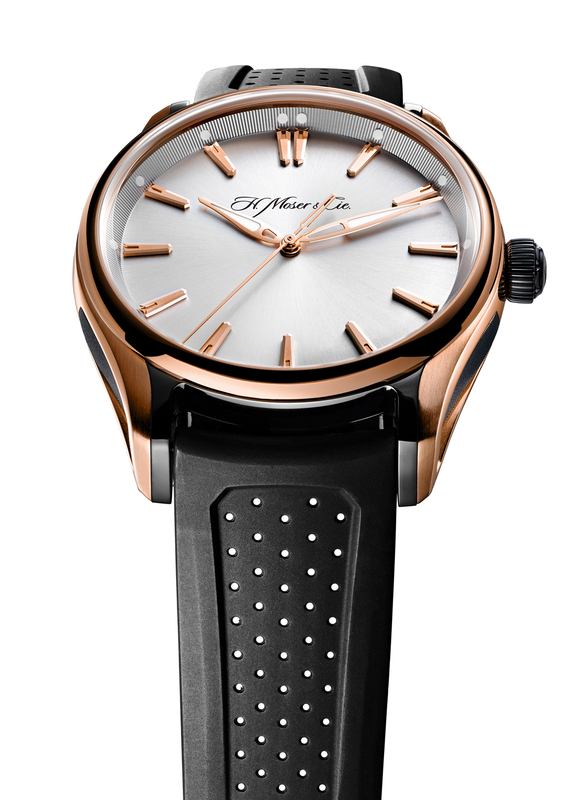 The watch has rose gold-DLC titanium case and in-house developed caliber HMC 230. Case dimensions are 42.8mm x 15mm, glass is made from sapphire crystal and water resistant up to 120 meters. Automatic movement has 3 days power reserve. 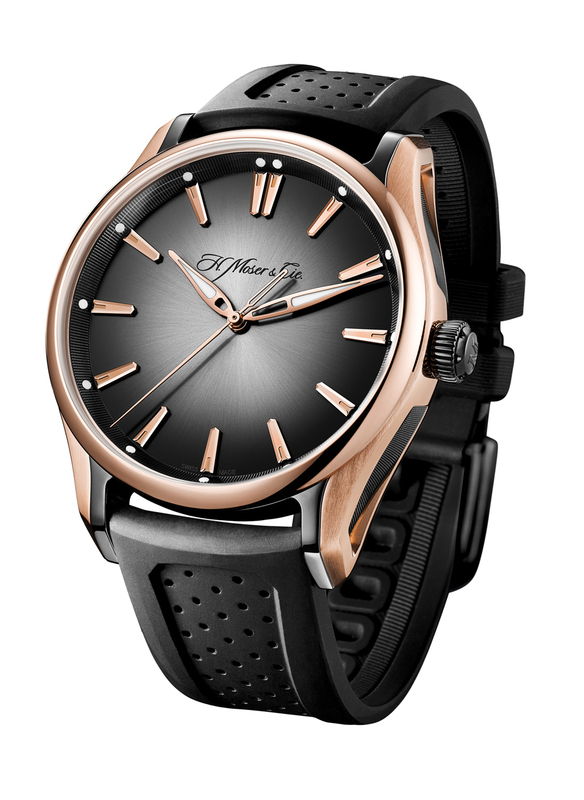 H. Moser & Cie Pioneer will be on sale with three different dial options and black rubber strap.